Ferrari revealed a new livery ahead of last weekend’s Japanese Grand Prix. In fact, it was not a wholly new livery, it included only a few changes to the current 2018 design, mainly to the engine cover of the SF71H. Even if the scale of changes was not extensive, the timing of them is rather interesting. Teams, especially Ferrari, are fastidious about making in-season changes to their liveries because of sponsors and the fact that the whole advertisement was based and developed around the initial livery throughout the given season. 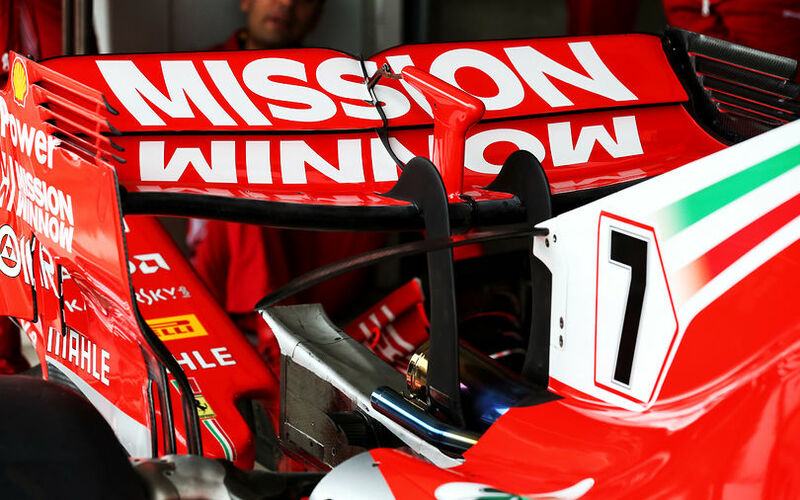 The latest change was triggered by Philip Morris International which has been a major sponsor for the Scuderia since 1997 through its brand Marlboro. It is the last cigarette brand still involved in the sport. Ferrari carried the branding of Marlboro on their cars for long years before bans on cigarette advertising meant that direct advertisement was not possible anymore. Then ban also prompted most of the then involved brands in 2006 to leave the Moving Circus, however Marlboro refused to scuttle away that easily as it sought for alternative ways for advertisement. Ferrari was accused to break the rules regarding the ban on advertisement in 2010 when it carried a barcode design on their engine covers. As some believed that it was a reference to the tobacco brand. In 2011, the team removed the Marlboro title from its official name. However, Philip Morris International stayed on board and used its cars and drivers to promote their products in countries where tobacco advertising remained legal. Interestingly, the next significant move in the mutual history of Ferrari and PMI came on 24th November 2014 when Maurizio Arrivabene, PMI’s former vice-president was appointed as Ferrari’s team principal. The latest design change is the result of the biggest change in the history of Philip Morris and the next phase of its collaboration with Scuderia Ferrari. “The company is dedicated to doing something very dramatic – replacing cigarettes with smoke-free products. That’s why it counts a total of over 400 dedicated scientists, engineers and technicians developing less harmful alternatives to cigarettes at two Research & Development sites in Switzerland and Singapore” read the statement of Ferrari. Mission Winnow is the showcase of this transformation. It is the story of the relentless, passionate pursuit of excellence by winnowing good from bad, truth from fiction to make decisions that deliver better. From the way the company communicate to the core of its business model.